Fall is here! And if you’re planning an Autumn Wedding, you might be feeling inspired by the season’s warm colors and cozy atmosphere. Rustic barn weddings, bundled up engagement photo sessions, and vineyard receptions are great options for fall brides-to-be, but if you want a little extra thrill on the happiest day of your life, we’ve got two word for you: Halloween Wedding! 2. This “Til Death” Ring Bearer Box really nails it! Fun Do-It-Yourself Halloween Wedding Idea: Shape chicken wire into ghostly figures, then spray paint them with glow-in-the-dark paint. Dundead Festival 2014 – Zombie Ball. Dunedin, New Zealand. 7. Three Words: Halloween. Caramel. Apple. Masterpieces by “SweetLakeCakes“. Make sure to pay them a visit if you want to have your mind blown. Natalie, who owns Austin bakery “Sideserf Cake Studio“, crafted the cakes herself for her own wedding. 13. Or just bloody awesome! 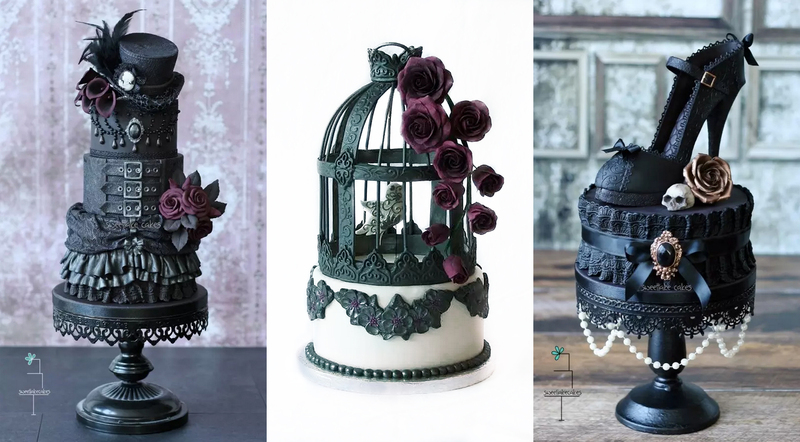 By “TheFashionCaker“. Beautiful detailed work. Customized wedding favors by “My Custom Wedding” on Etsy. Shot glasses, can koozies, bottle openers, keychains, just married license plates, mason jars, stickers and anything else you have in mind. These whole wheat witch fingers use jam in place of food coloring! Not only are they healthier with whole wheat flour, but they taste great!! Recipe here. Prosciutto Meat Head and Cheese Platter. Learn how to make it here. Zombie Brain Hemorrhage never tasted to good! These deliciously macabre little treats will have your guests talking until next Halloween! Check out recipe and instructions here. 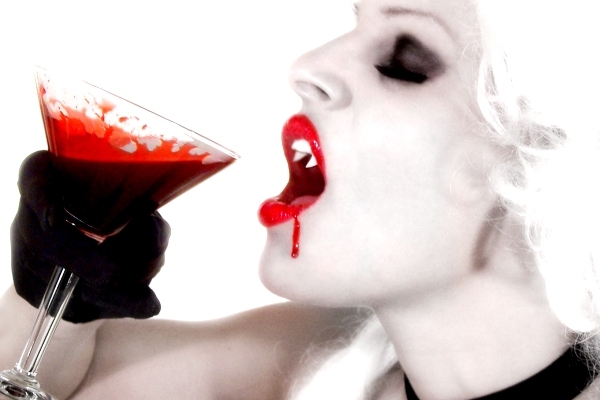 And never has drinking blood from a test tube been so deliciously sinful. For more Halloween Wedding Ideas, check this out! These fun cupcakes can be put together ahead of time, and would be great for a Halloween Wedding party dessert table or wedding take home gift. Recipe here. Place these somewhere your guests can absentmindedly run into them in the dark. Guaranteed screams. Beautiful and spooky Barn Halloween Wedding Idea. 39. 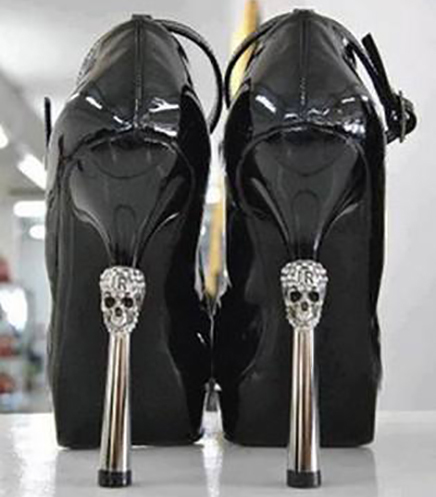 Halloween weddings can be classy too! Classy Halloween Wedding Decoration Ideas. More here. Candlelight Halloween Wedding Decoration Ideas. See more here. Black Eye Make Up Idea for Halloween Wedding. 42. And even a little bloody lip. Bloody Lip Make Up Halloween Wedding Idea: Done using just qtips. With a bit of dark lipstick and red face paint this can be a 5 min last minute make up tweak. Pretty in Purple Halloween Wedding Treasury by “My Custom Wedding” on Etsy. 45. Your friends will love a unique Halloween Wedding costume party. 46. It’s not just Halloween, It’s your day! 50. ‘Til death does you apart! Cheers! ‘Til Death Do Us Apart Clear 1.75oz Shot Glasses Halloween Wedding Favors. By “My Custom Wedding” on Etsy.